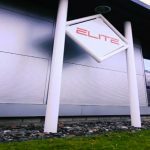 Elite Control Systems is delighted to announce that it has opened its first office in Aberdeen, Scotland. The new office will enable Elite Control Systems to provide oil and gas customers in the region with solutions based upon its specialist process control, automation and information technology software. By doing so, Elite helps them to achieve their business objectives by enhancing production, improving safety, and reducing downtime. Coinciding with the opening of the office in Aberdeen is the appointment of James Eadie as Field Sales Engineer for Elite Control Systems. With 20 years experience, Eadie brings a solid working knowledge of the oil and gas industry, with particular emphasis on Process Safety, Control and new business development. Before joining Elite Control Systems, Jim worked for five years in a global sales role for Industrial Safety Technologies Ltd in Glasgow, Marseille, Houston, Ireland, and Norway. During this time, he developed new business in Aberdeen, and many regions around the world. A native of Clydebank, Scotland, Eadie holds an MSc Degree from University of Strathclyde in Glasgow. He is a member of the Chartered Instituted of Marketing and the Institute of Mechanical Engineers (IMechE) in the UK. The new office is located in the popular Arnhall Business Park in Westhill, a growing satellite town just 7.5 miles west of Aberdeen City Centre.